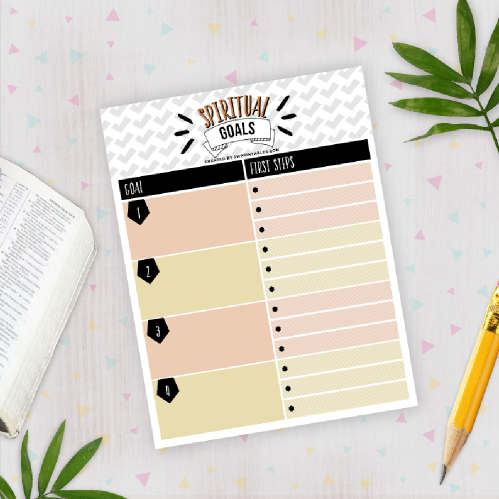 Today’s free printable is a free spiritual goals sheet! This printable idea was suggested to us by our dear sister Katy via Instagram. Thanks for the idea sis! It’s been proven that when we set concrete long and short term goals & write them down, we’re more likely to achieve them! 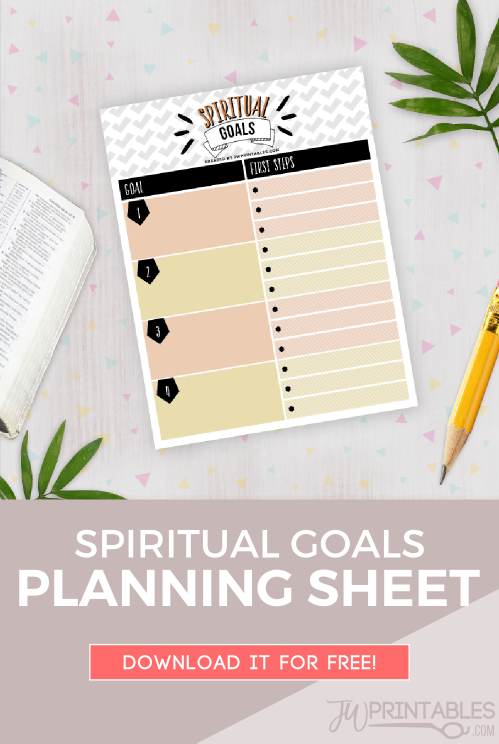 So writing down our spiritual goals can really help us to get serious about achieving those goals and help us to focus in on what steps to take to reach them. 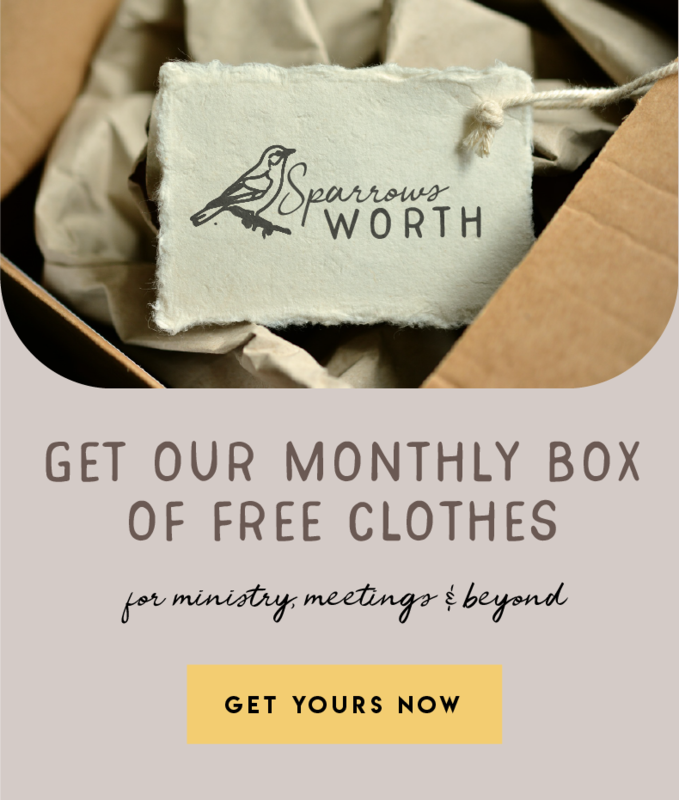 As always, this printable is available for personal, non-commercial use only. Please do not share the downloaded file with anyone & please do not remove the copyright JWPrintables logo from our work. Thank you!